I am trying this new diet called the 8 hour diet. Has anyone heard of it? My super hip and in-the-know brother in law, GQ, told me about it. Basically you fast all day and only eat during an eight hour time frame. For instance, 10-6 or 12-8 or any other 8 hour combination. This is my second day on it and it’s not too bad. The main reason I am interested in trying it out is because I have a bad habit of snacking really late. Actually, I don’t snack, I just eat two dinners. Probably not the best habit to have. Speaking of late night cravings, I have a recipe that is sure to curve any cravings you may have. Except for a chocolate craving; for a chocolate craving, check out this dessert/breakfast awesome recipe. 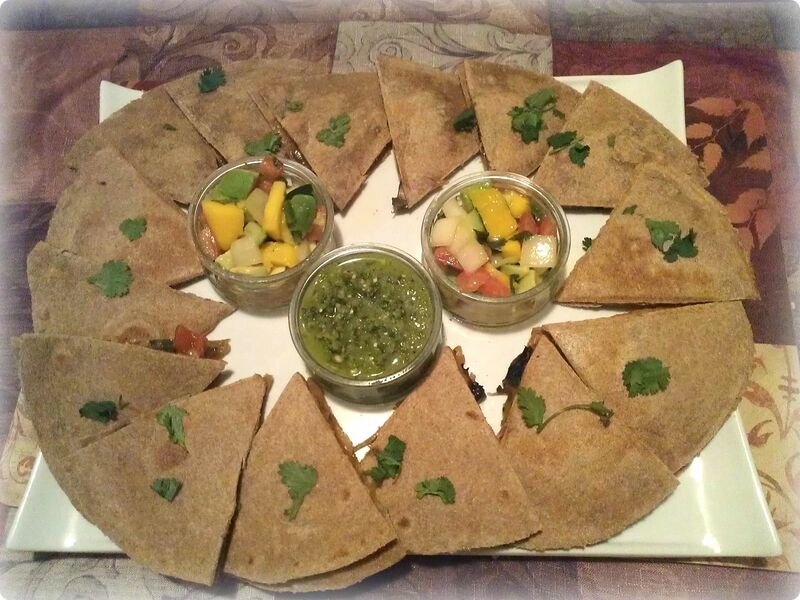 To wrap up this week of tortillas, I wanted to take it back to basics and use our homemade tortillas for some veggie goodness. 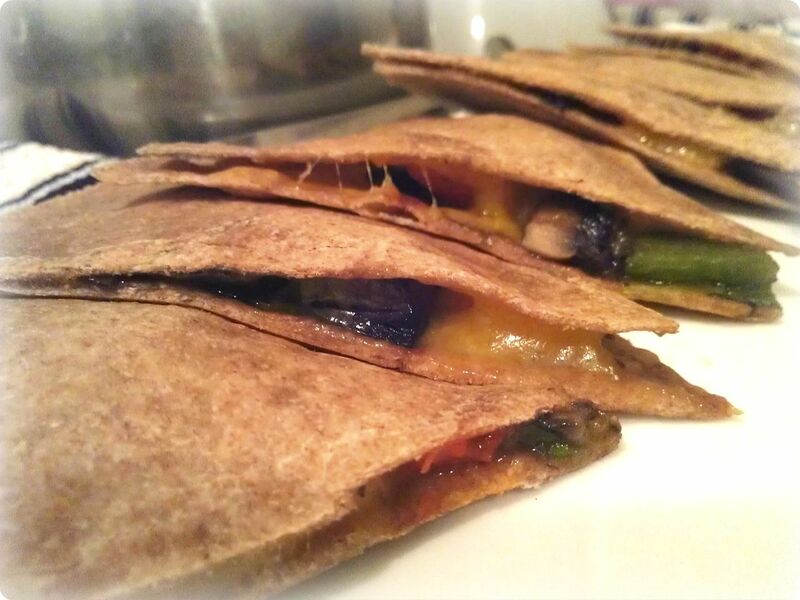 These quesadillas have mushrooms, red and green bell peppers, green onion and a lot of yummy cheese. It’s a simple recipe, it’s quick and it makes a great appetizer for a party or a very filling dinner for two with leftovers for lunch. In a medium pan over medium heat, heat vegetable stock to a light boil and add in cumin and paprika. 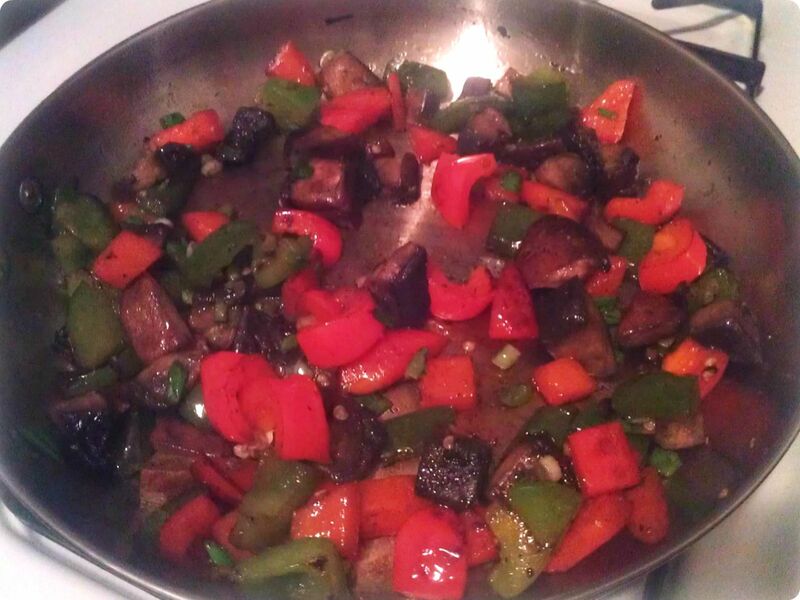 Add the bell peppers and onions and cook until semi soft and then add the mushrooms. Add salt and pepper. Once the vegetables are finished cooking (about 10-12 minutes) scoop a spoonful on a large tortilla, cover with cheese and place another tortilla on top. 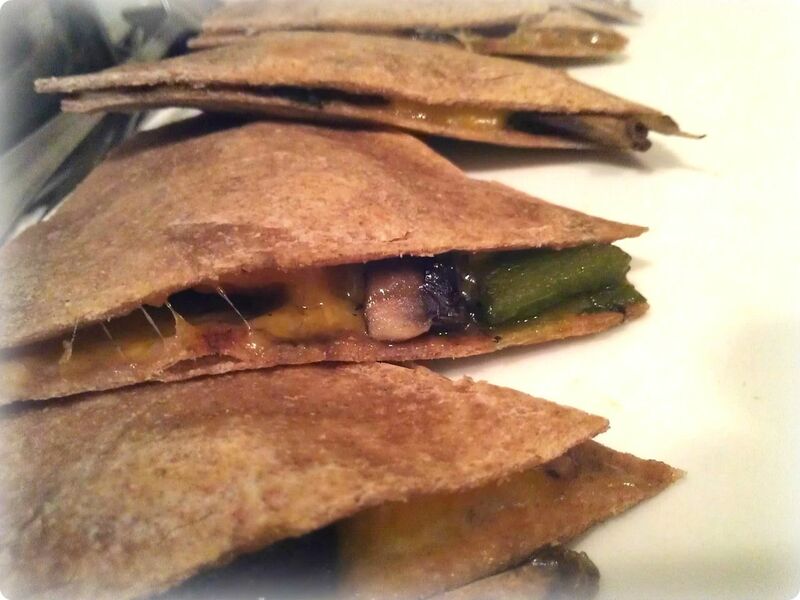 On a flat surfaced grill, cook the quesadilla until cheese is melted, flipping half way through. Repeat the process until you have three large quesadillas. 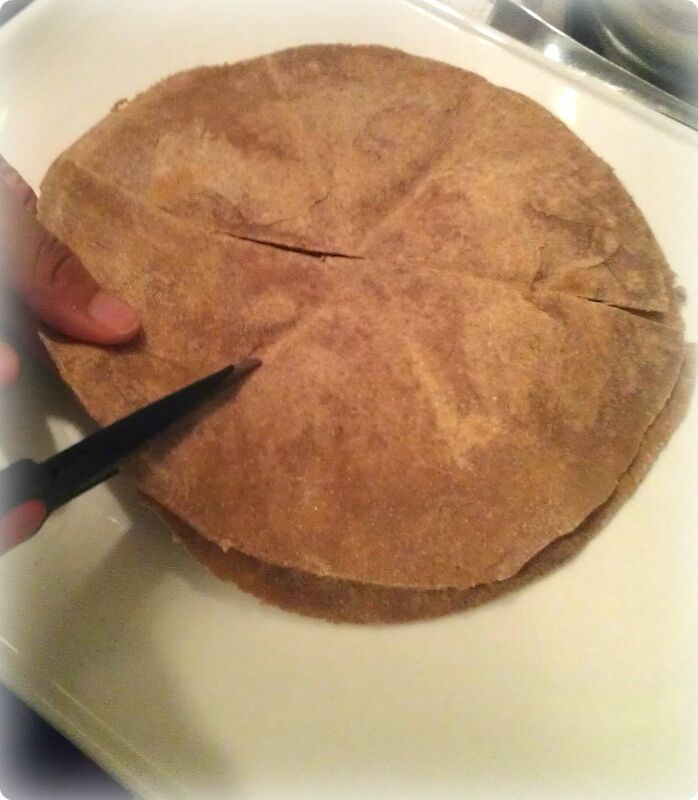 Using kitchen scissors, cut the quesadillas into 6 triangles. 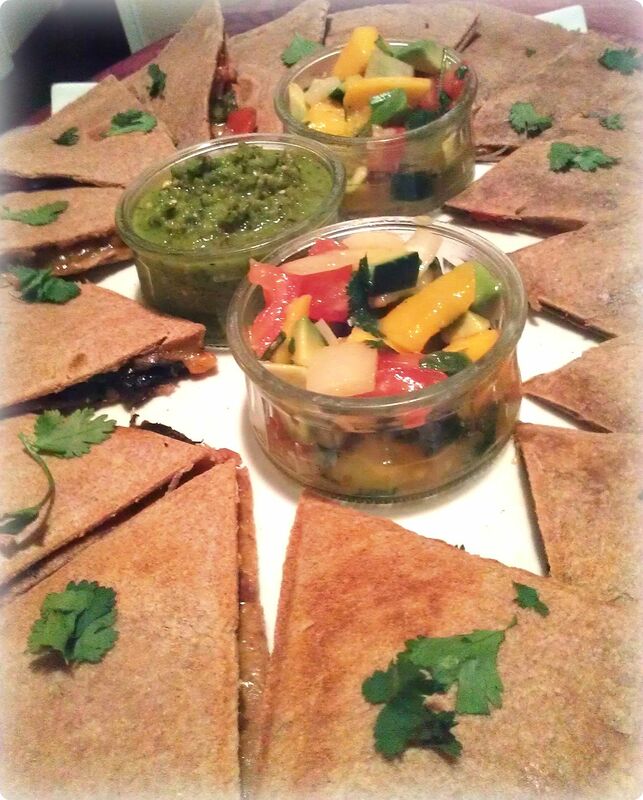 Place on a serving tray and serve with your favorite salsa. 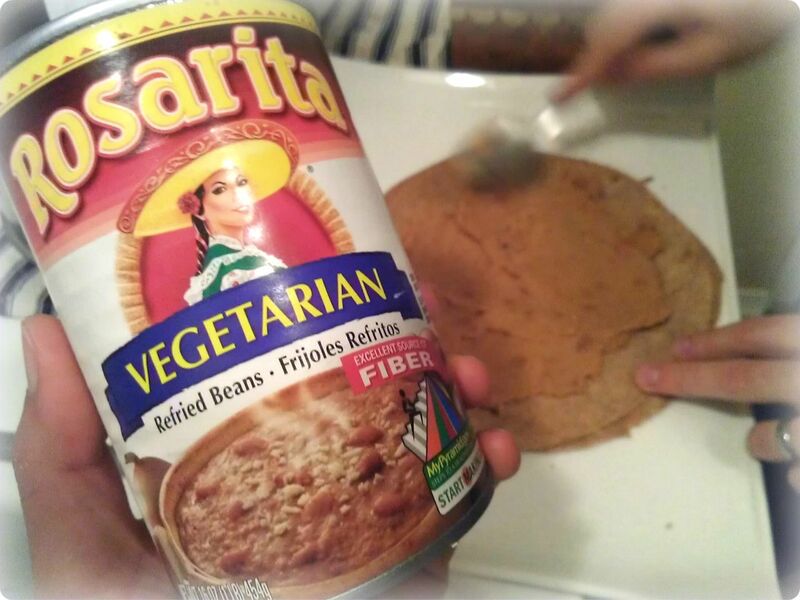 *Note: Damir wanted re-fried beans on some of them so we used a vegetarian brand and spread the beans on one quesadilla for something different. I personally prefer it without the beans because you can taste the flavors of the veggies better.